Camera strapped to my waist, like a gun in holster, ready to shoot and record what I encounter. A blogger has to be a photojournalist, as well as, copy-editor, researcher, editor and publicist – so I have to blow my own trumpet. This week this blog has received some outside recognition. I don’t know if a link to my post 3 Portraits of Julian Assange from the Huffington Post is that significant as it has only lead to 3 views. What is more significant is that State Library of Victoria (in partnership with the National Library of Australia) is going to archive Black Mark – Melbourne Art & Culture Critic on PANDORA, Australia’s Web Archive. PANDORA’s index of Australian websites provides a link to the published site and an annual archive of the site. The library will keep the contents accessible as hardware and software changes over time; long after my energies for it have been exhausted or if WordPress folds. It will also be in the library catalogue and in the National Bibliographic Database (a database of catalogue records shared by over 1,100 Australian libraries). Looking at the Pandora index in the ‘Fine Arts’ section along with many gallery webpages, like Westspace, 69 Smith and Platform Artist Group, I’m pleased to see Peter Tyndall’s Blogos/Ha Ha included in the archive. Blogos/HA HA is part of Tyndall’s meta-art work “A Person Looks At A Work Of Art/ someone looks at something…”, the title of all his art. His blog has articles about recent issues and events along with a great selection of images that all build on his meta-thesis about the act of looking. Peter Tyndall’s art made a great impression when I was an undergraduate student at Monash Uni in the early 80s and spurred my interest in looking beyond the image and the frame. Now this is recognition that I am making a significant contribution to recording Melbourne’s fine arts. It feels like a vindication for all the work that I have put into this blog. And all of this gives me more motivation to write, to research and to explore Melbourne’s visual arts. 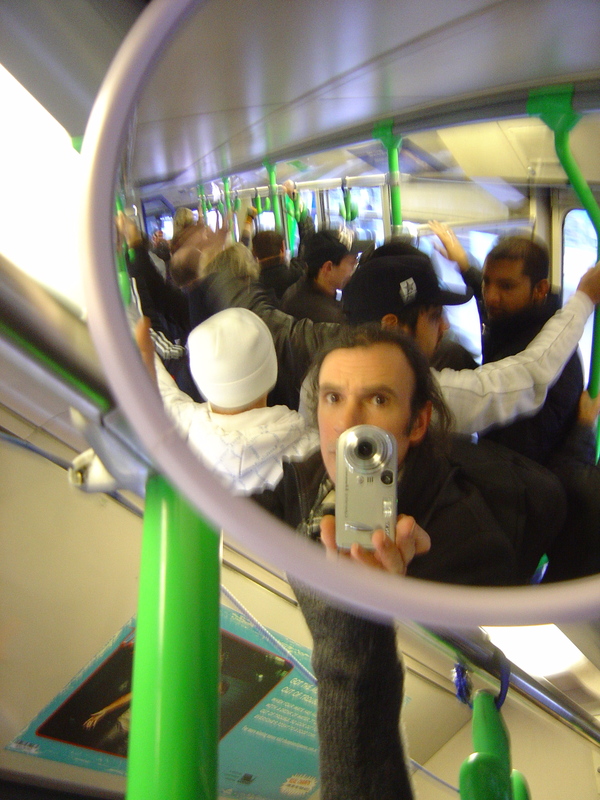 And while I have your attention: “Like” my Facebook page for Black Mark – Melbourne Art & Culture Critic; it is a lite version of the blog with more photographs, links to stories and chat about what I’m doing as an art critic.